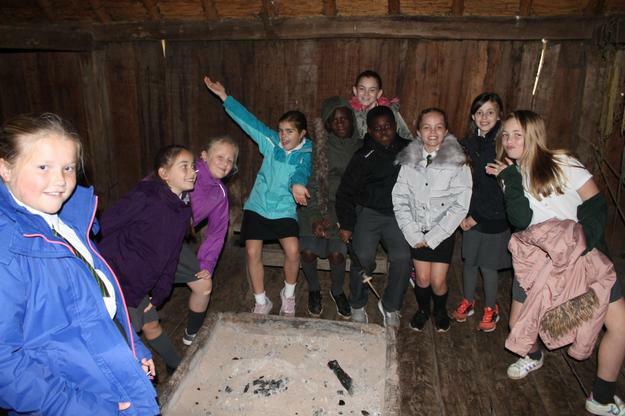 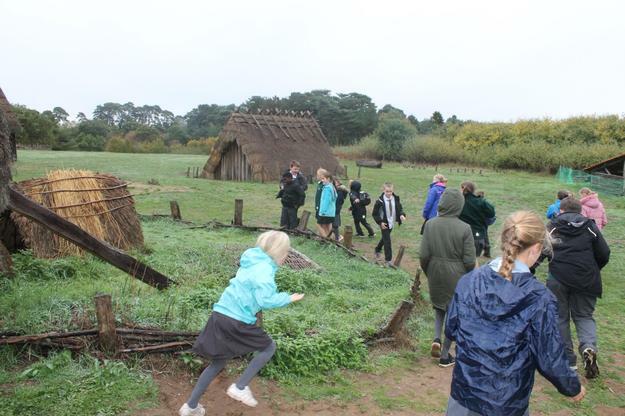 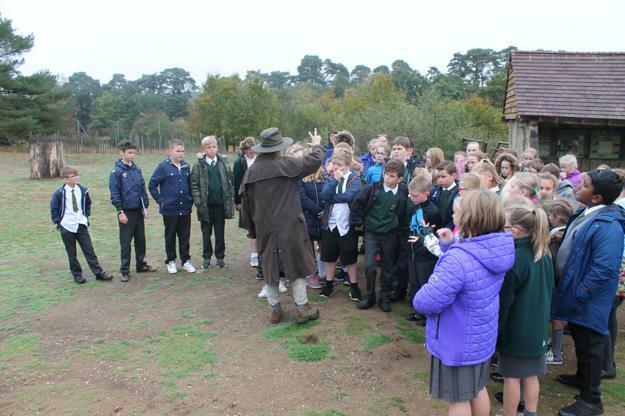 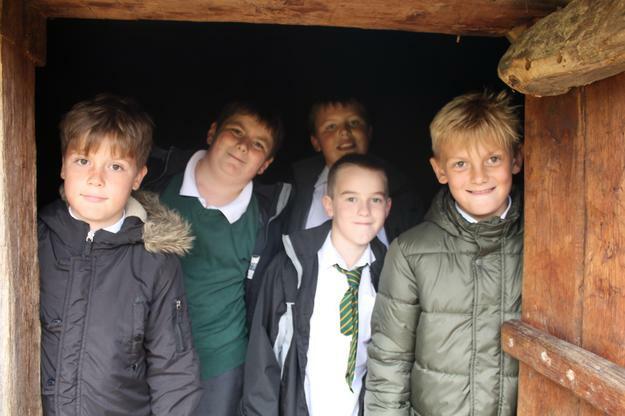 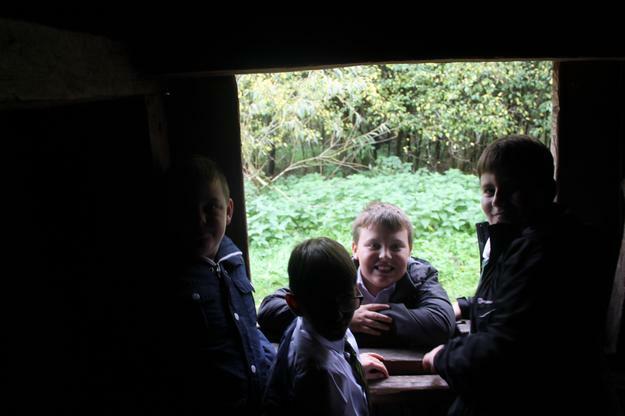 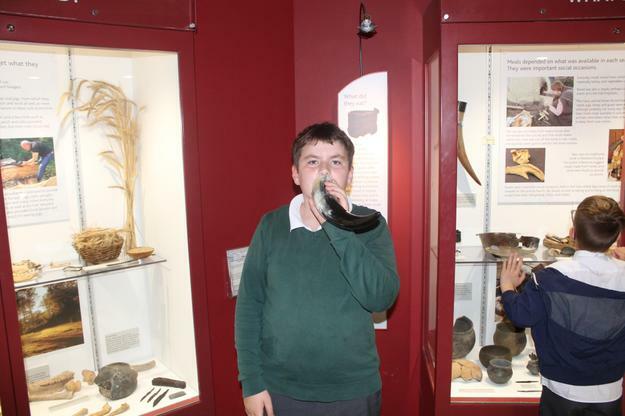 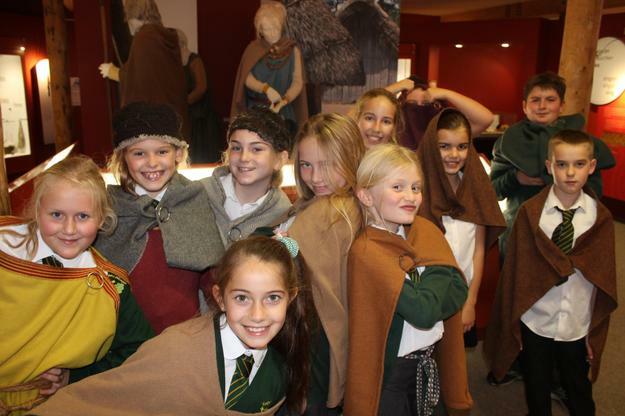 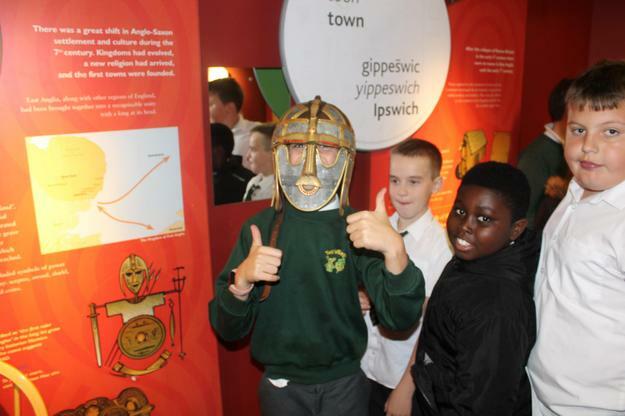 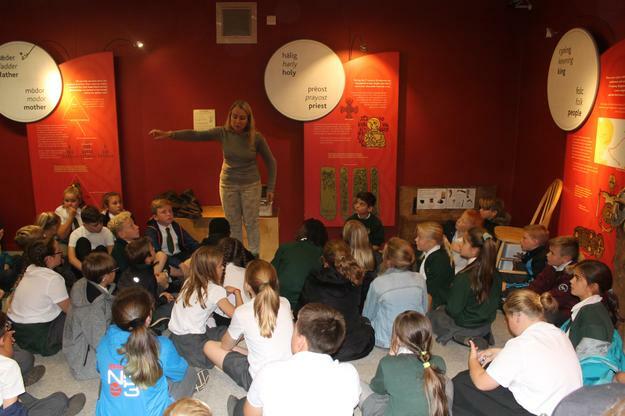 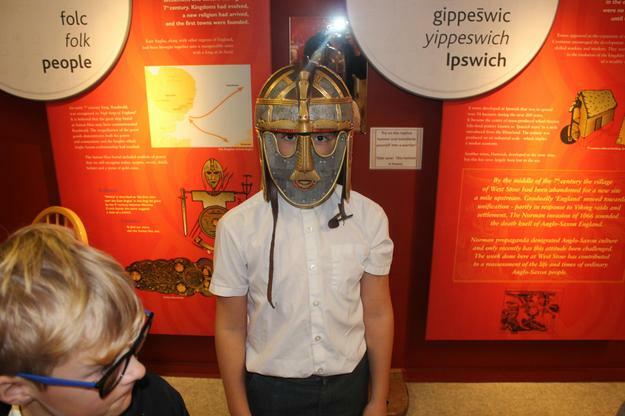 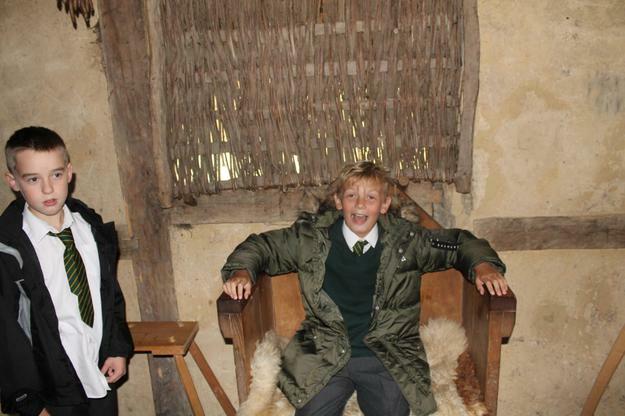 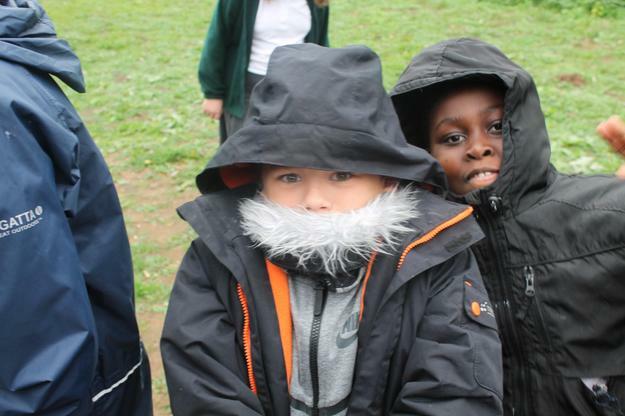 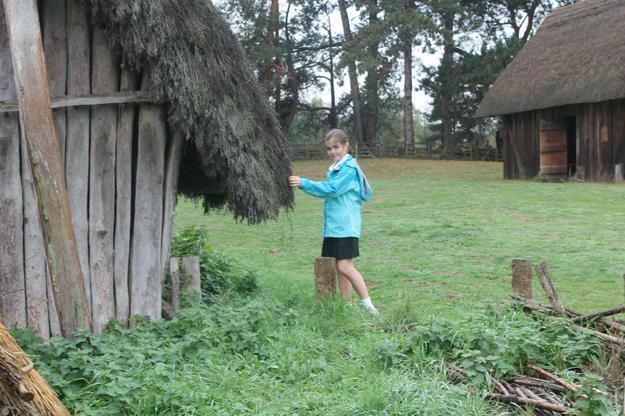 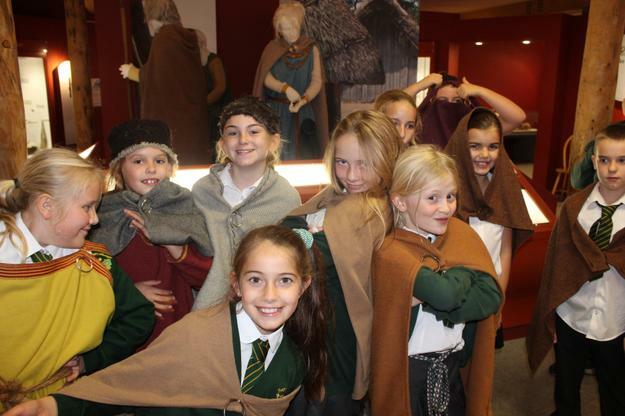 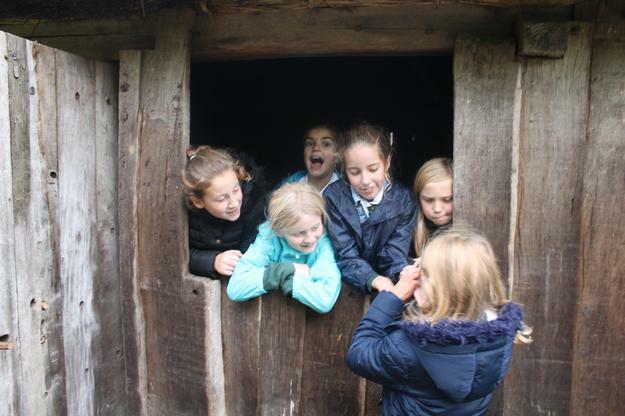 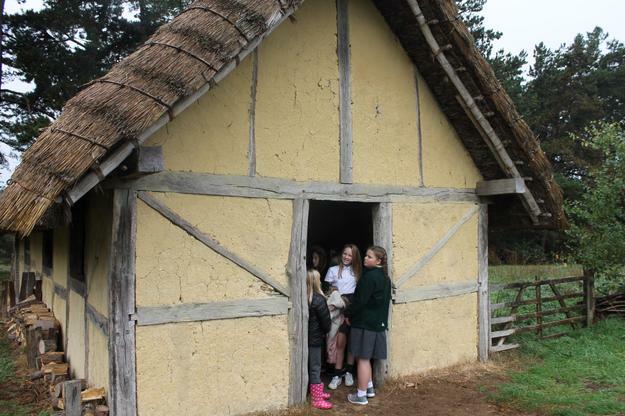 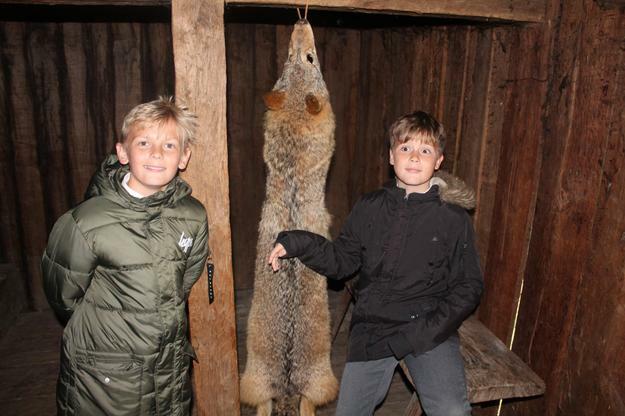 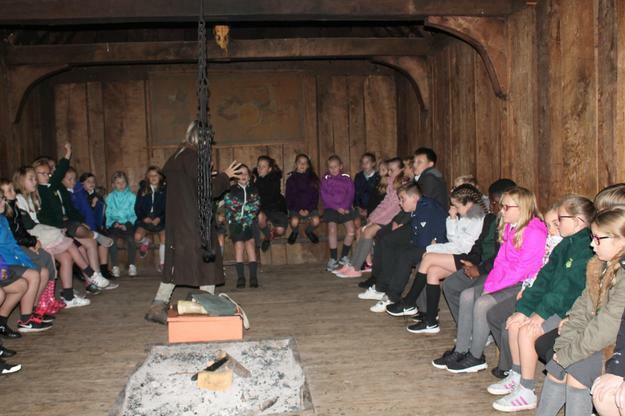 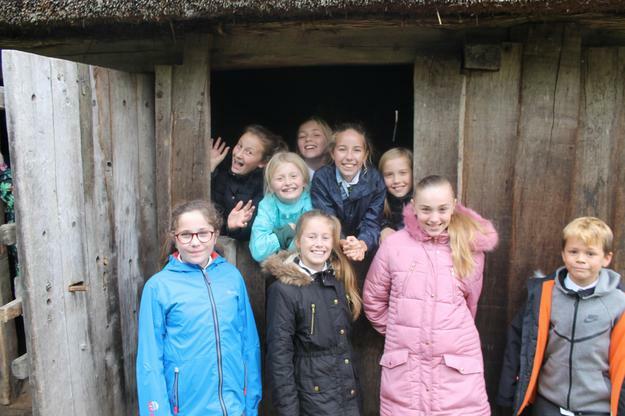 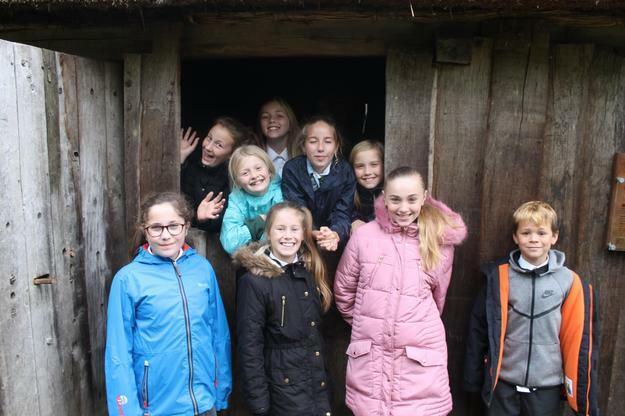 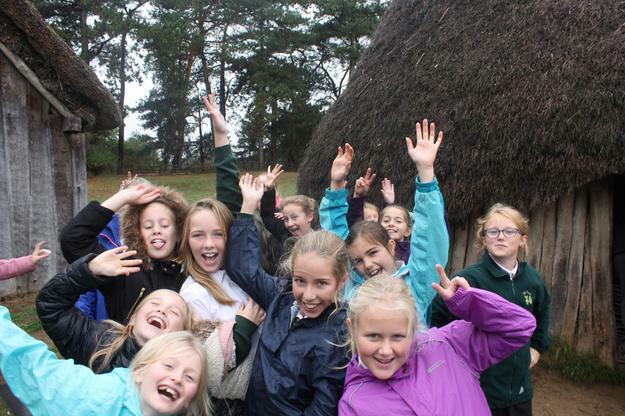 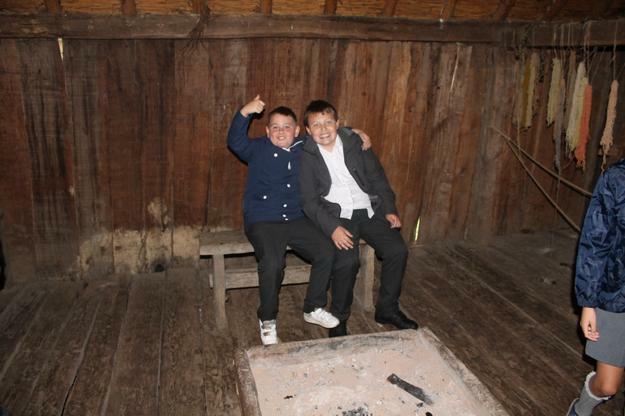 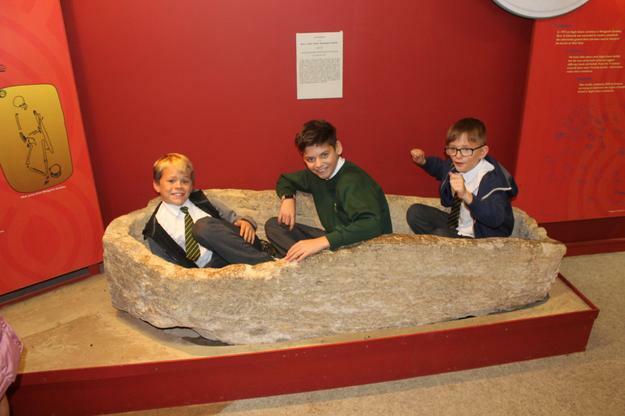 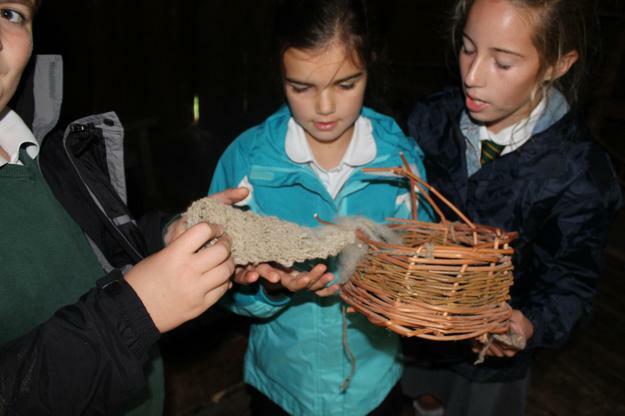 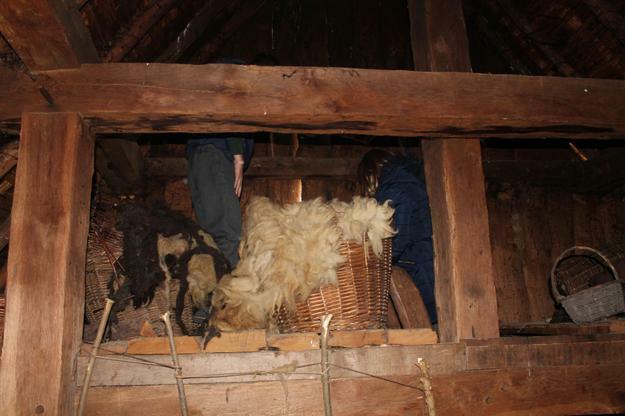 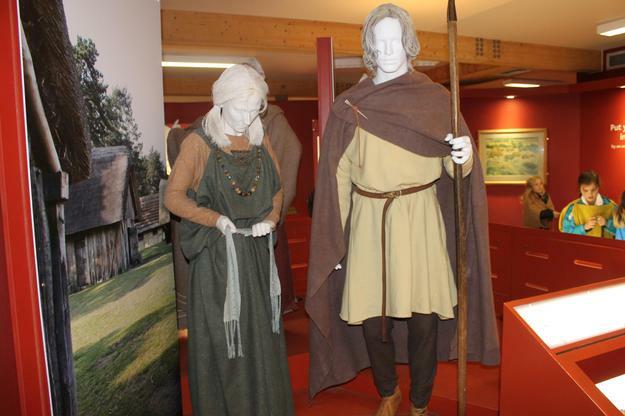 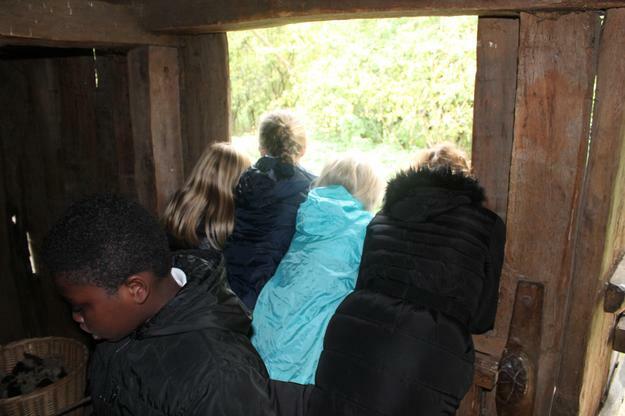 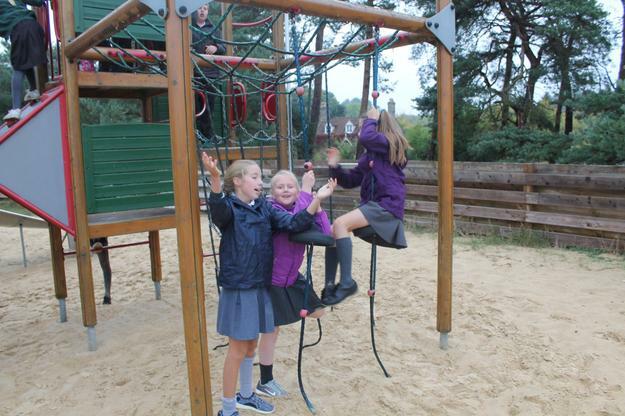 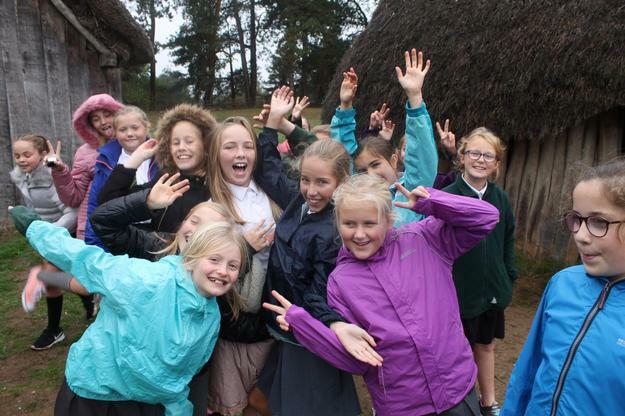 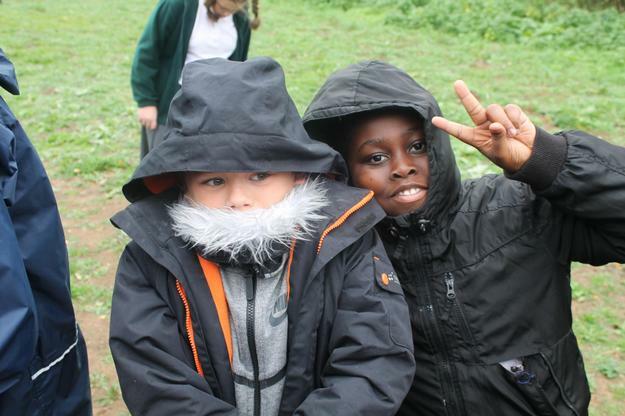 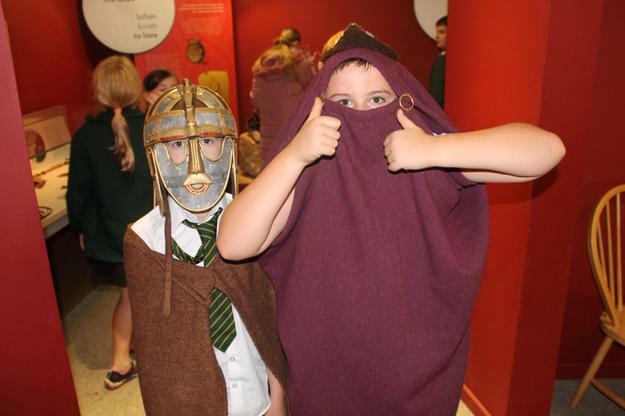 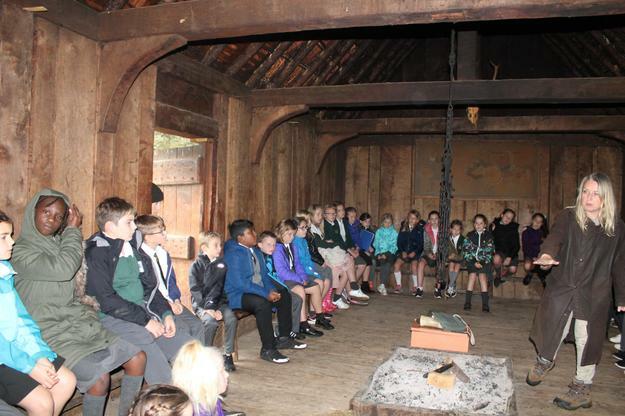 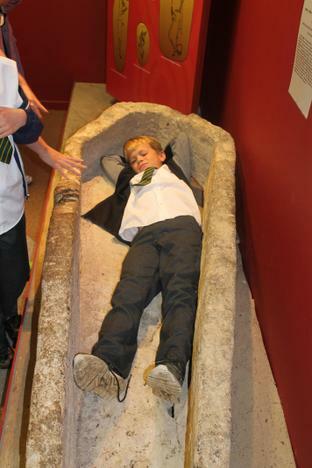 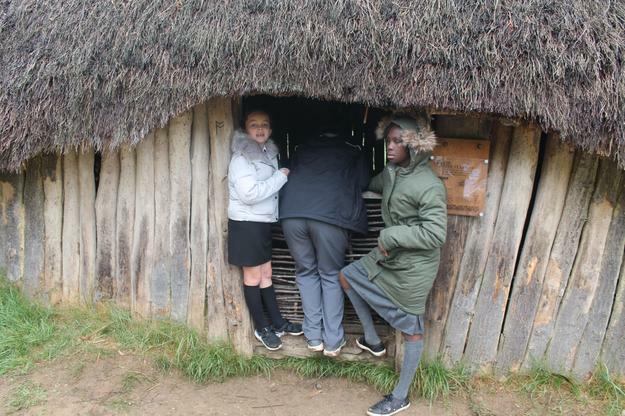 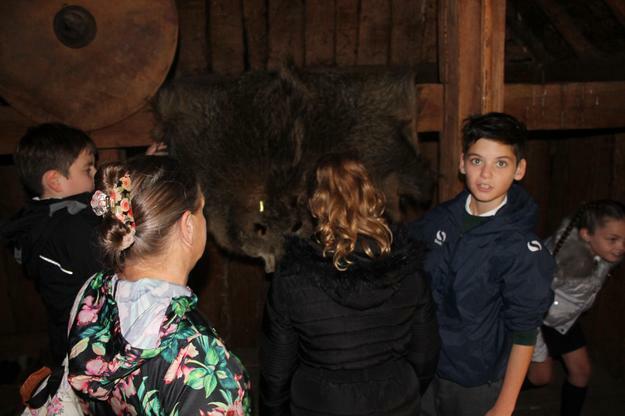 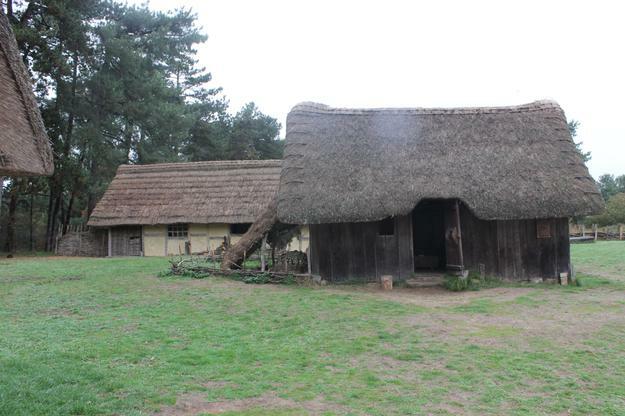 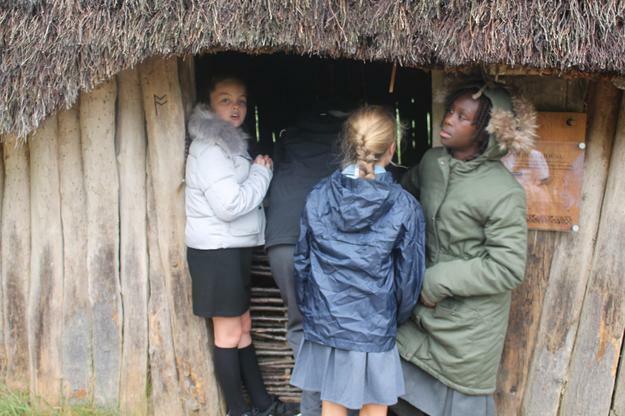 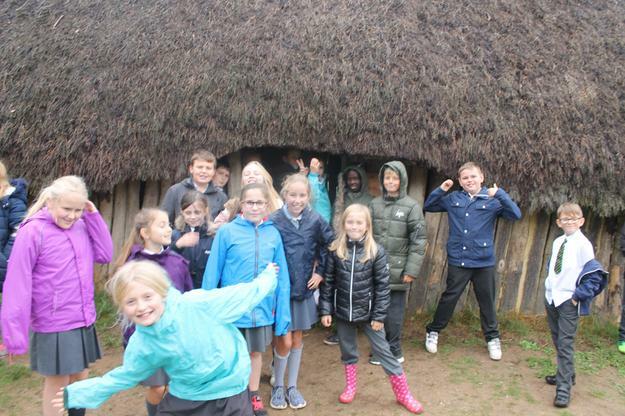 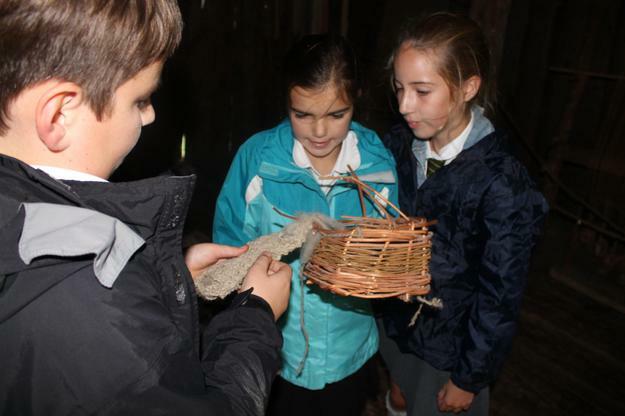 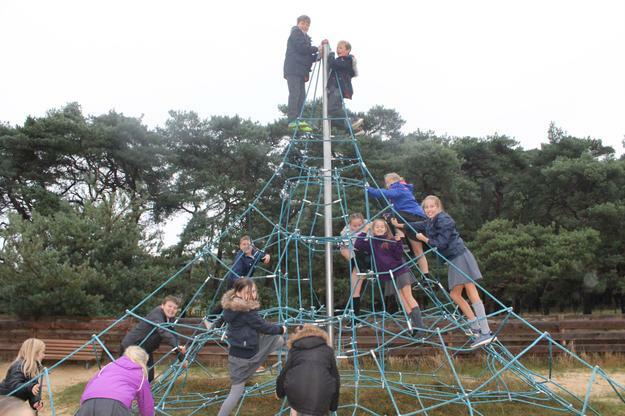 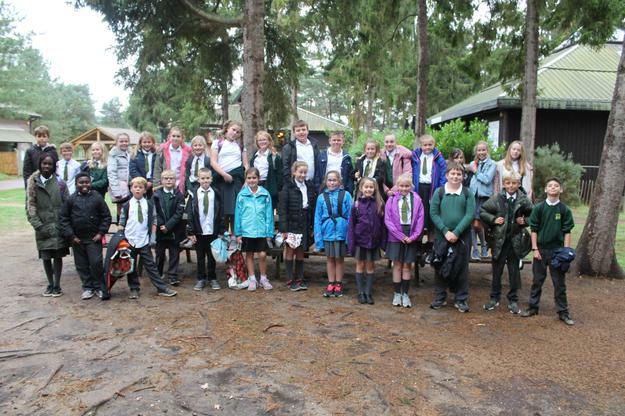 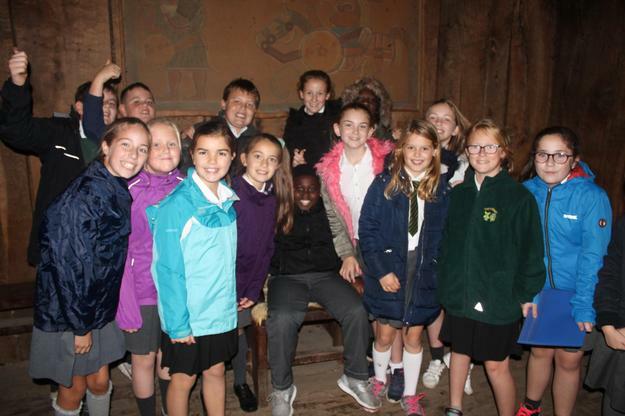 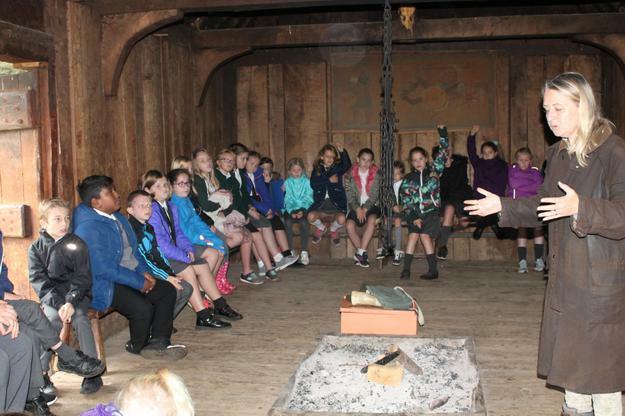 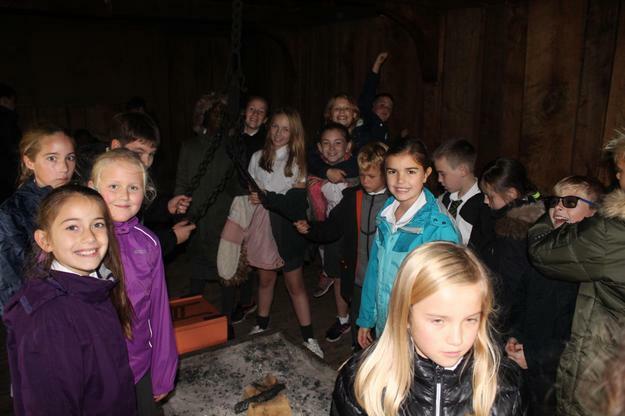 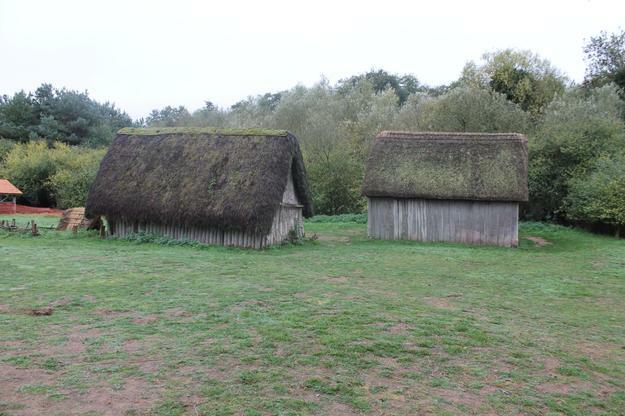 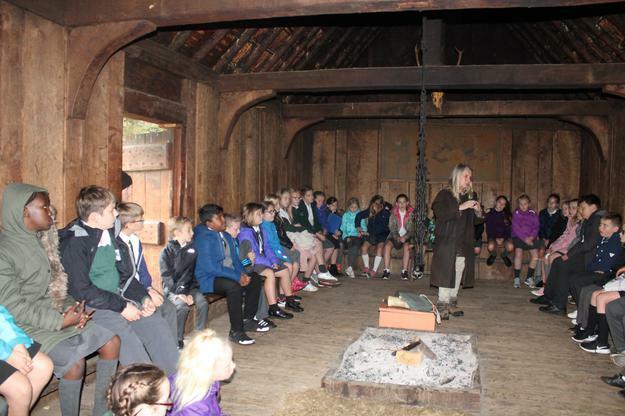 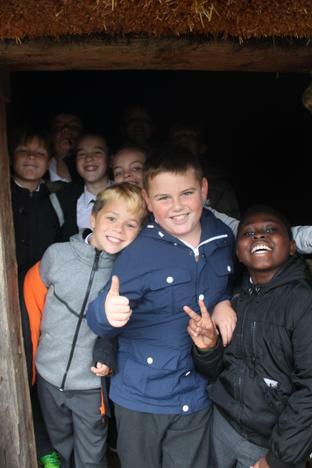 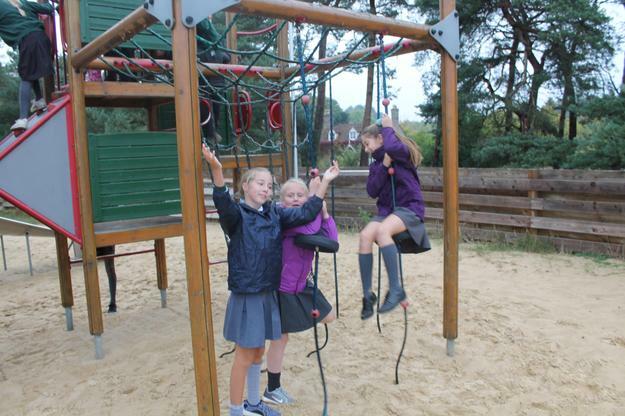 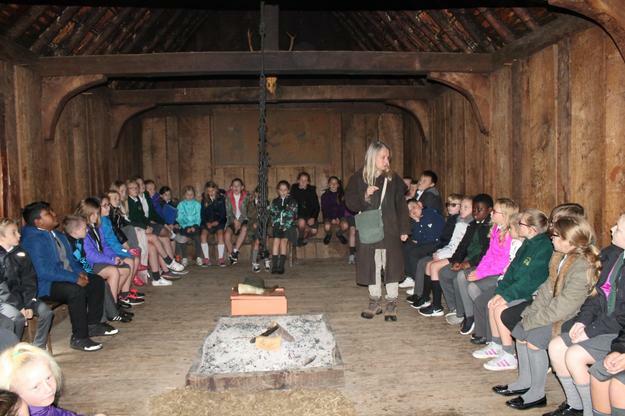 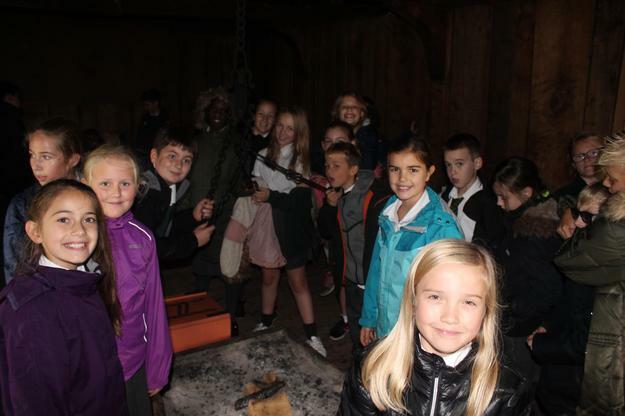 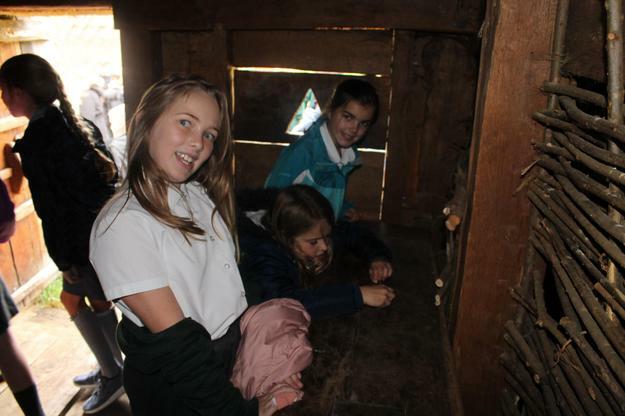 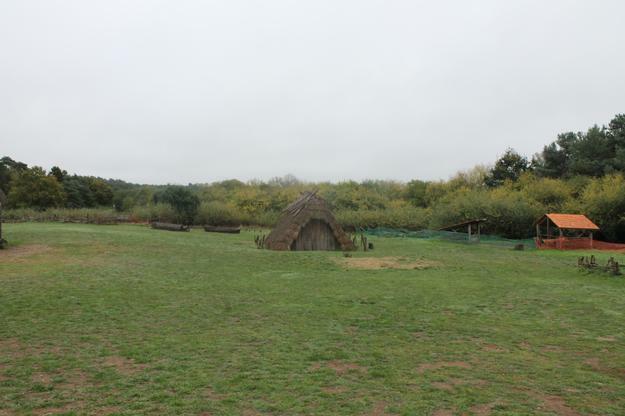 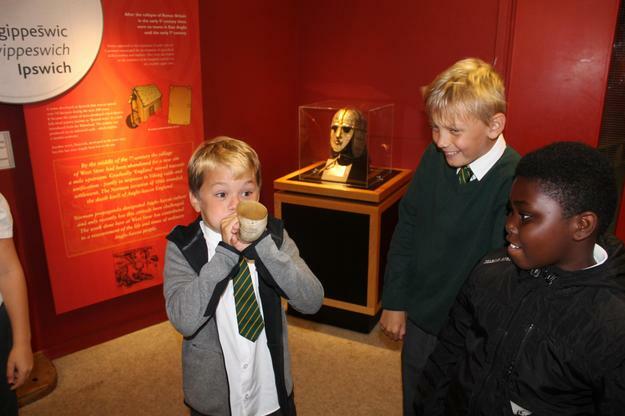 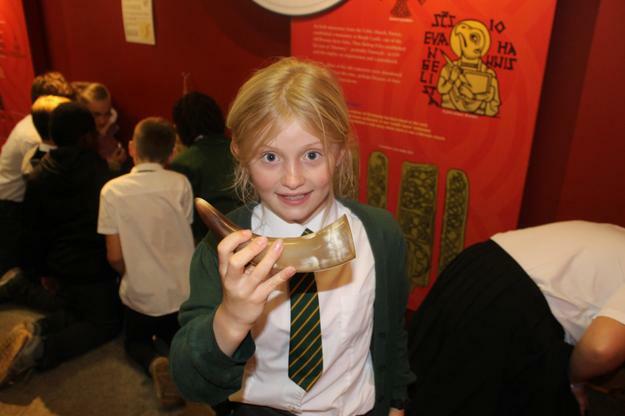 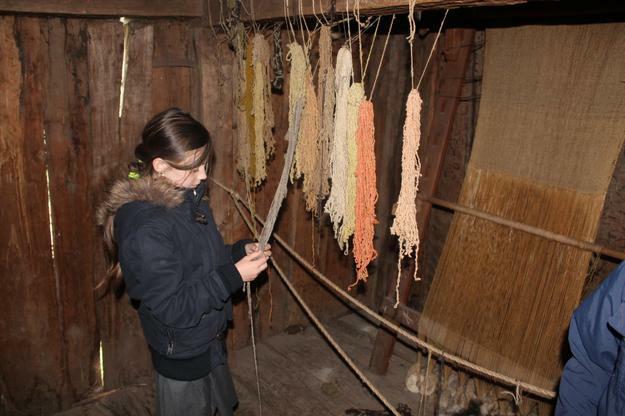 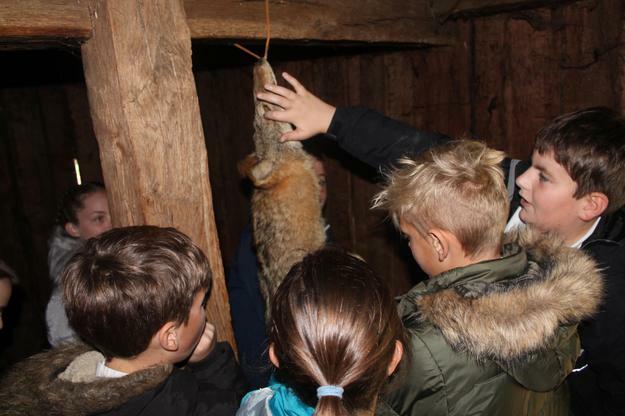 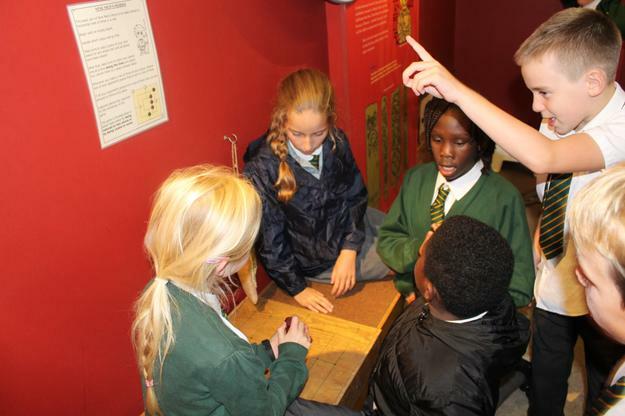 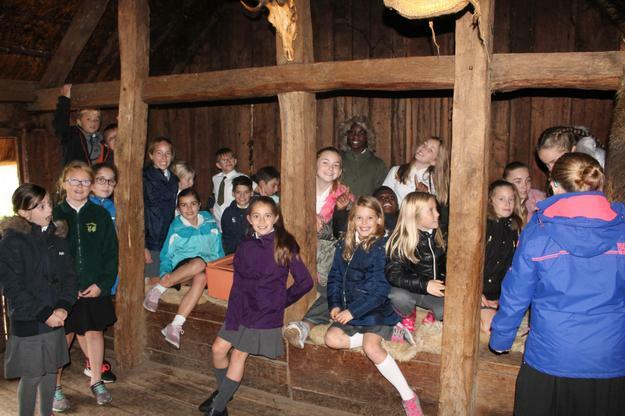 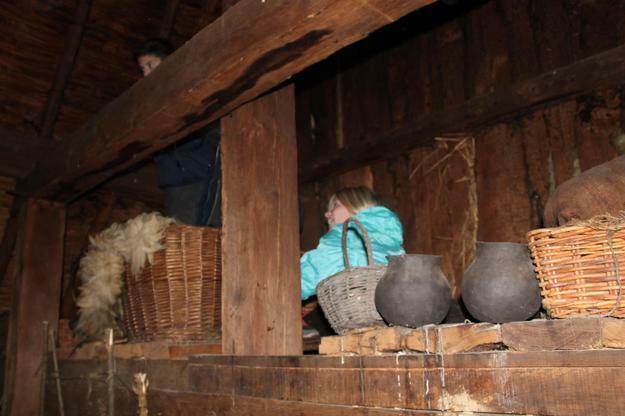 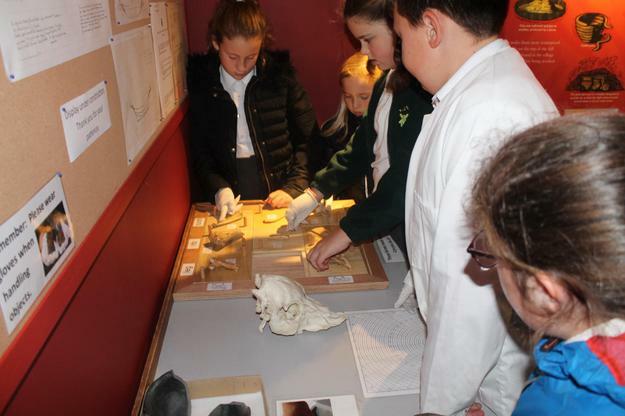 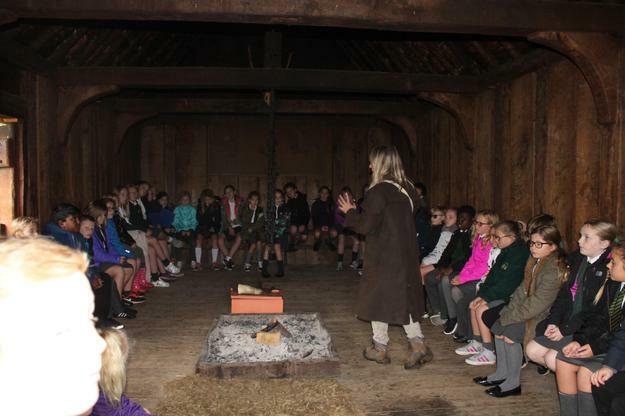 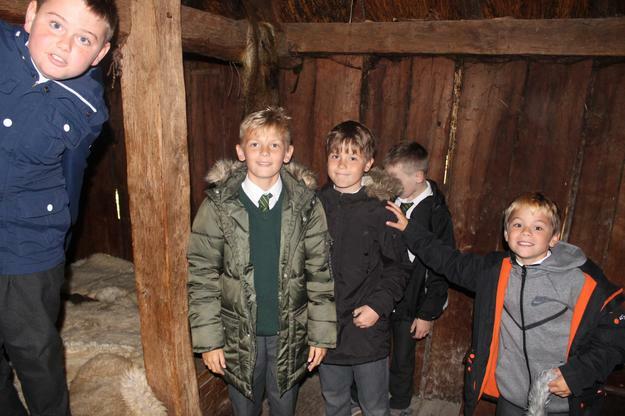 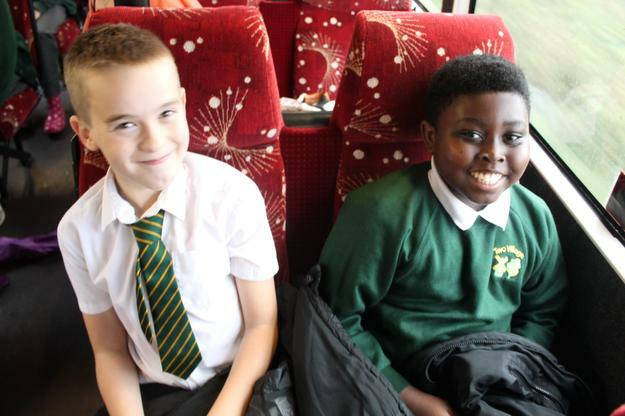 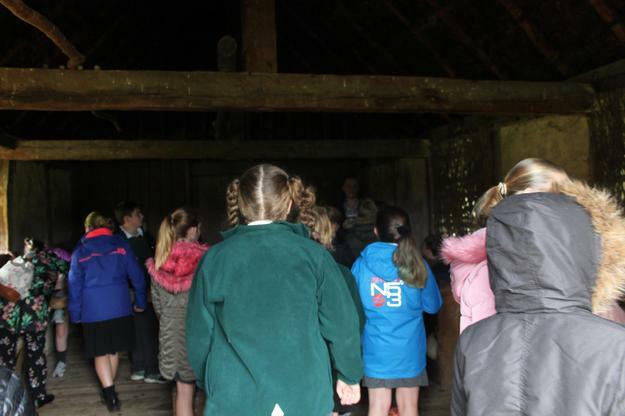 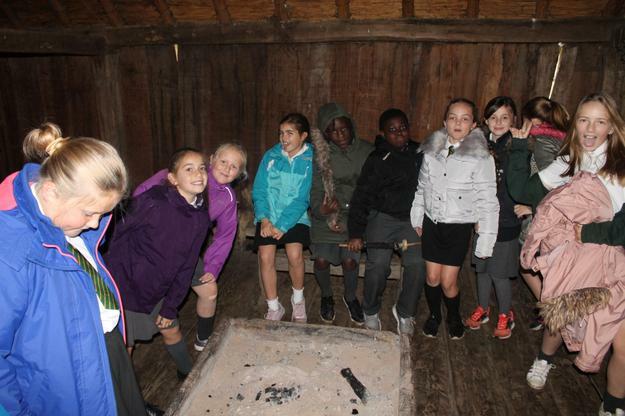 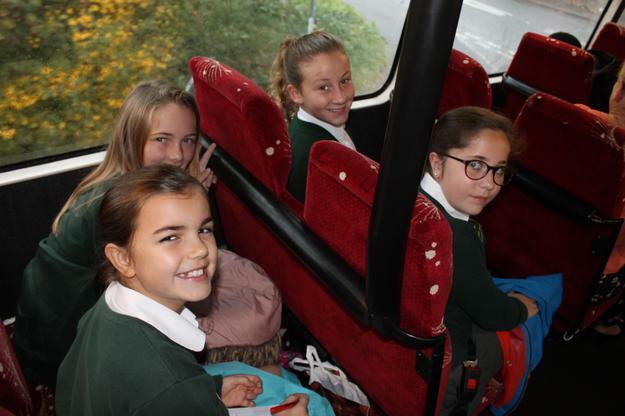 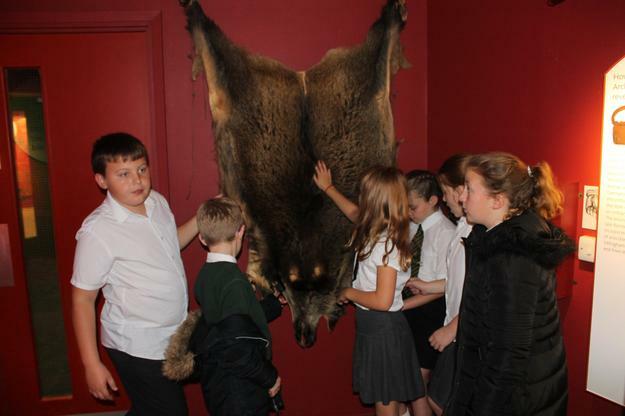 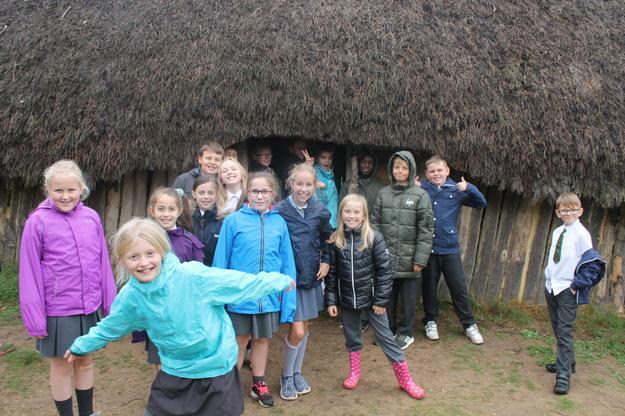 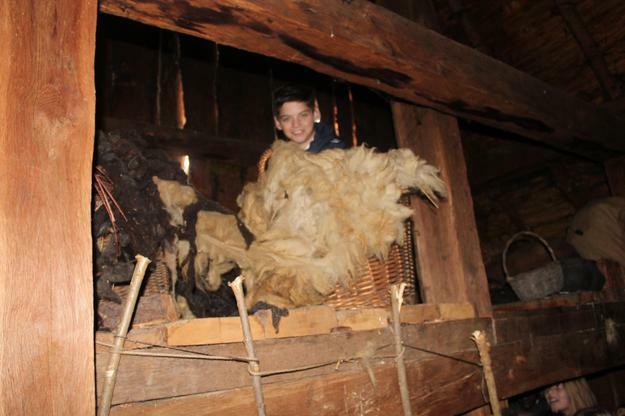 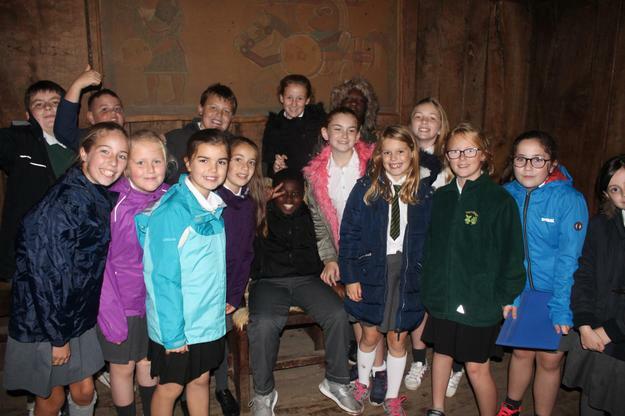 On Monday 15th of October, Oak Class went on a school trip to West Stow Anglo-Saxon Village. 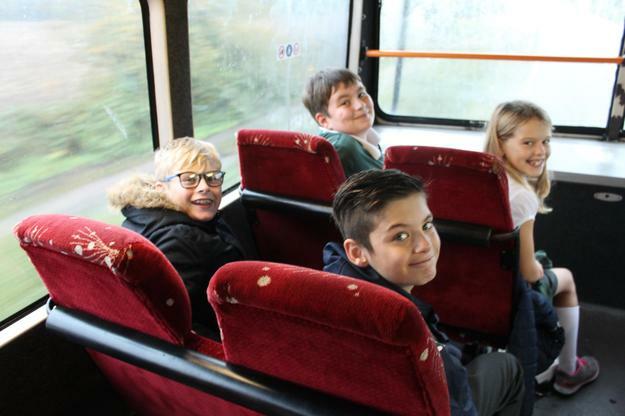 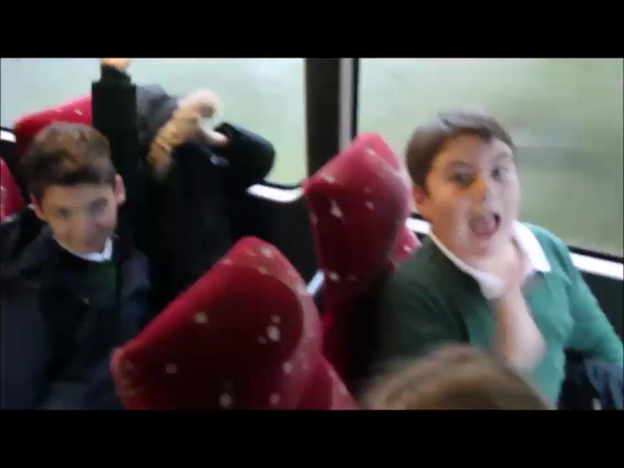 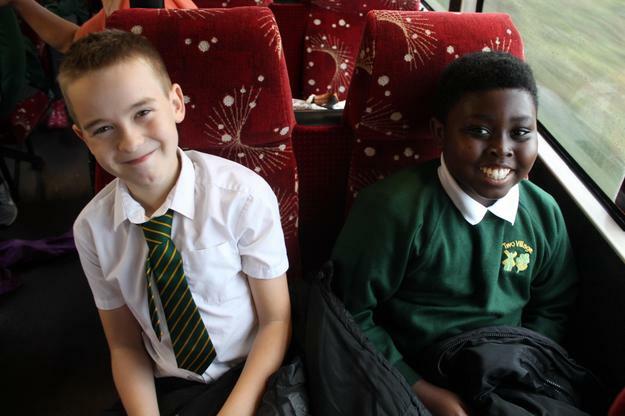 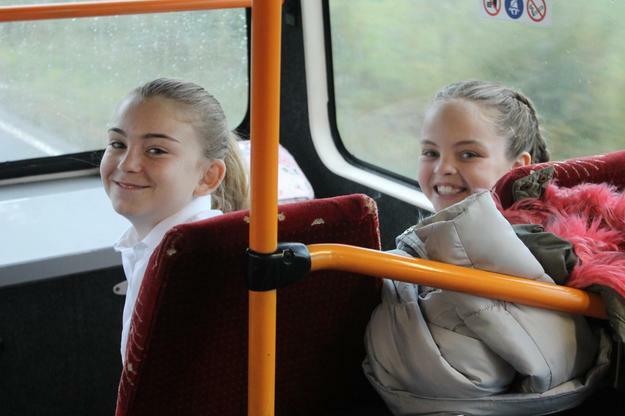 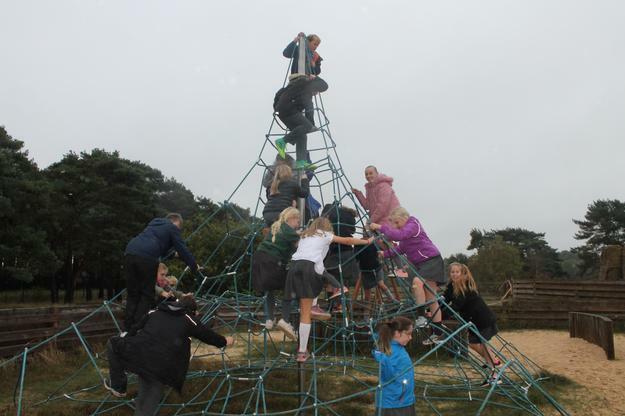 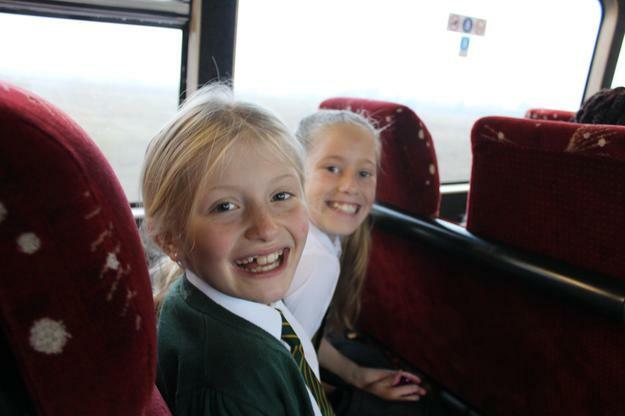 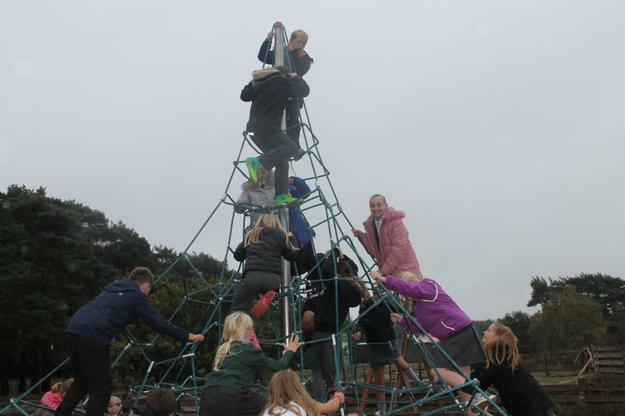 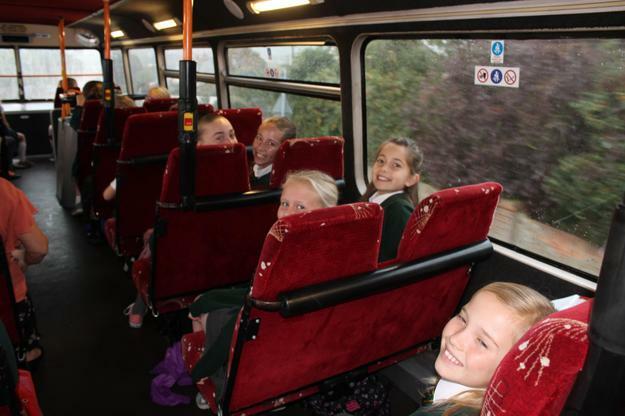 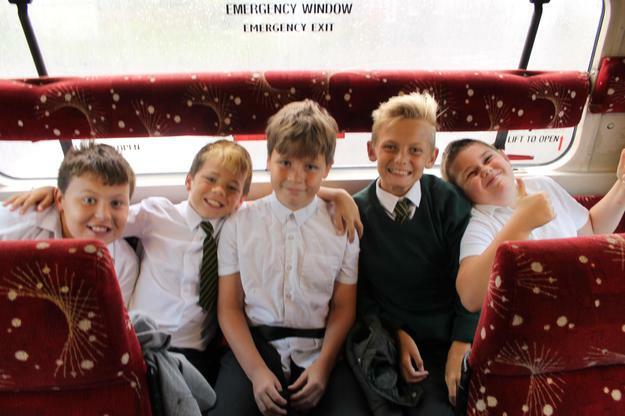 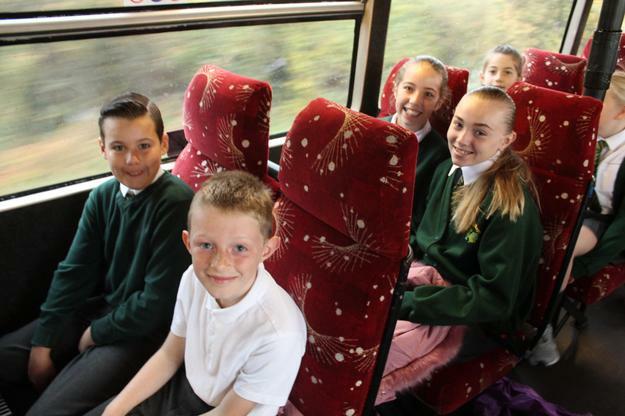 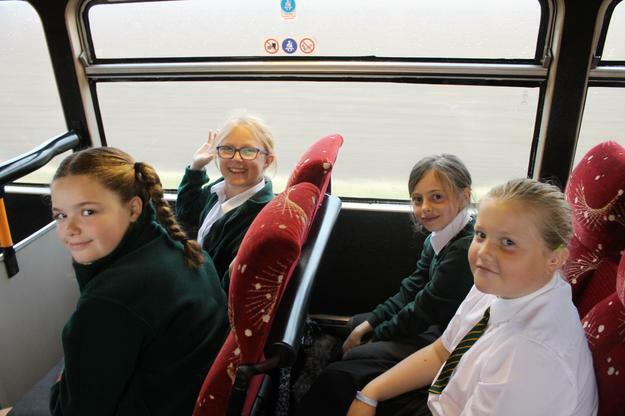 We arrived to school early and by half past 8, we filled the coach; Year 6 were on the top and Year 5 were on the bottom. 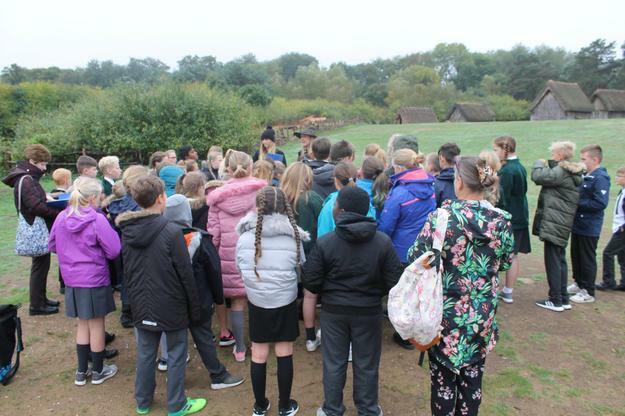 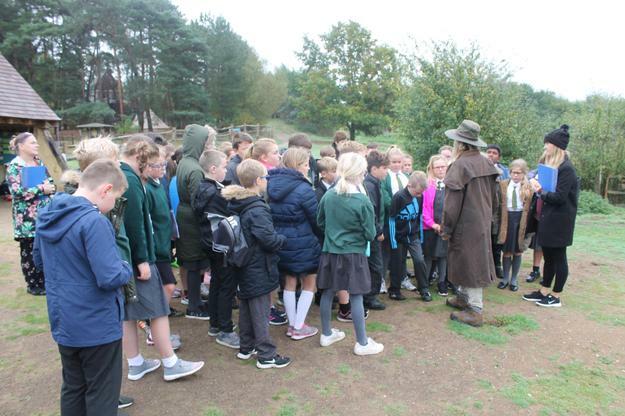 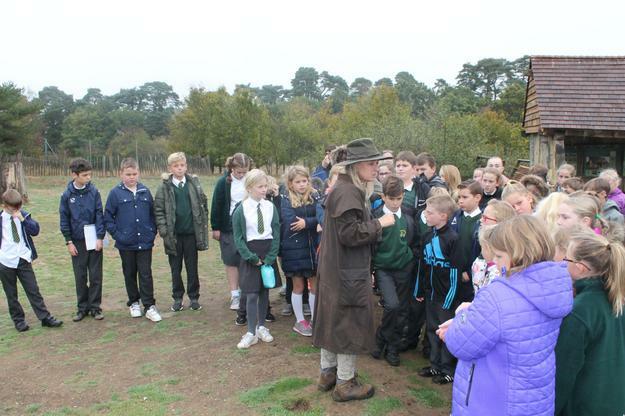 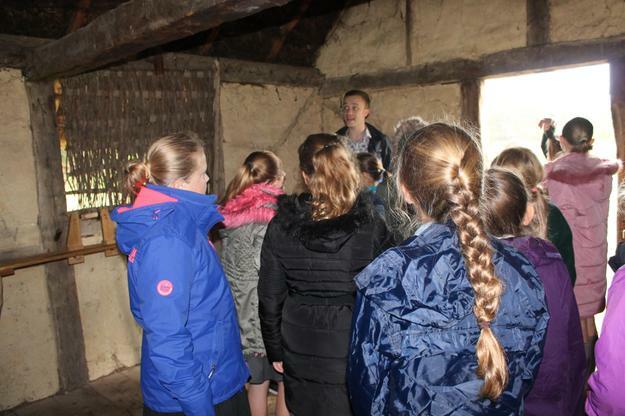 On our arrival, we were greeted by a historian who led us around the Anglo- Saxon village. 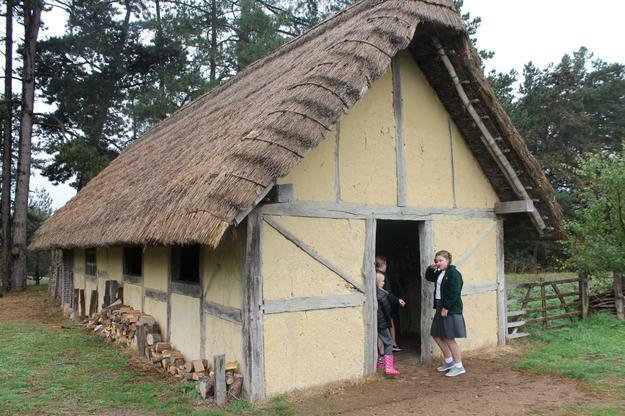 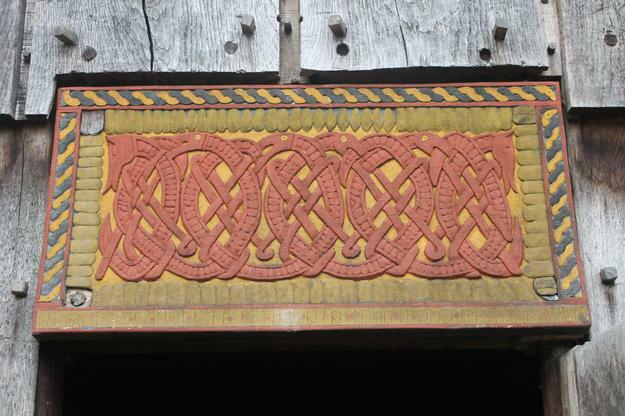 The highlights of this part were going inside the mead-hall where the historian told us lots of stories and facts about the Anglo-Saxons. 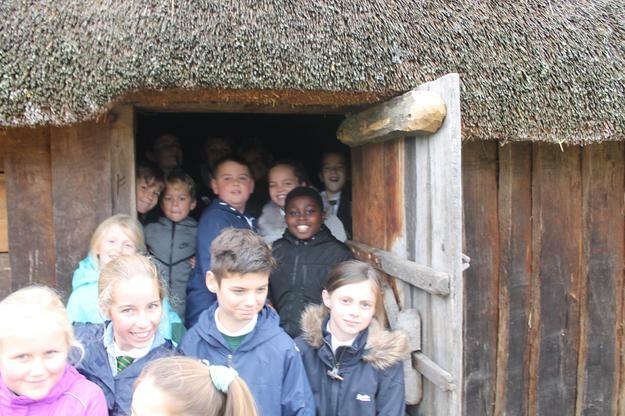 We also explored the different styles of houses and got to go inside them. 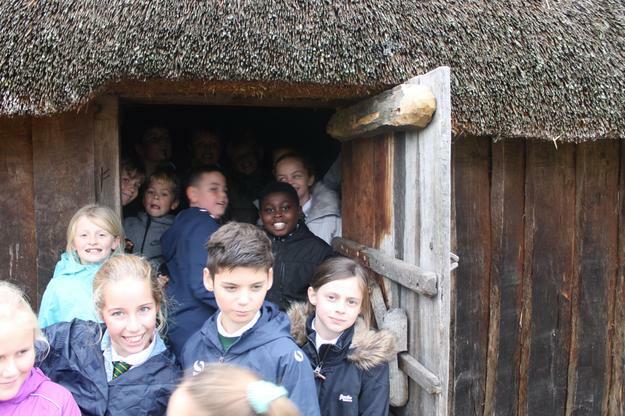 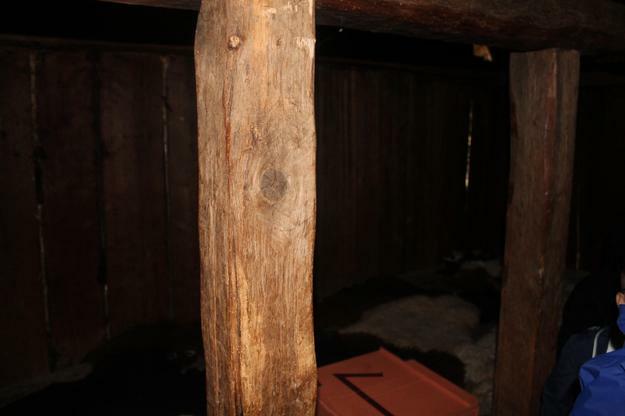 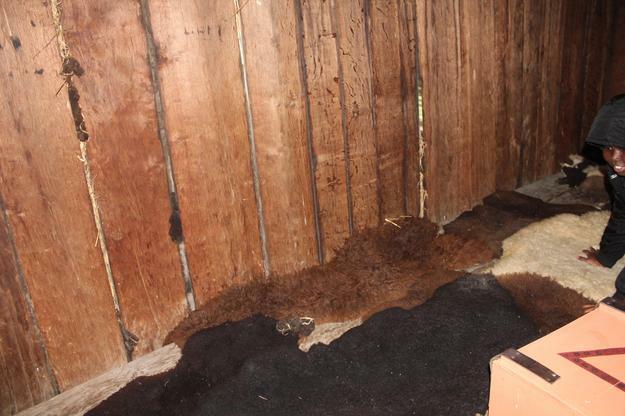 They were reconstructed using timber, manure and mud to create the walls, and reeds and straw to create the thatched roofs. 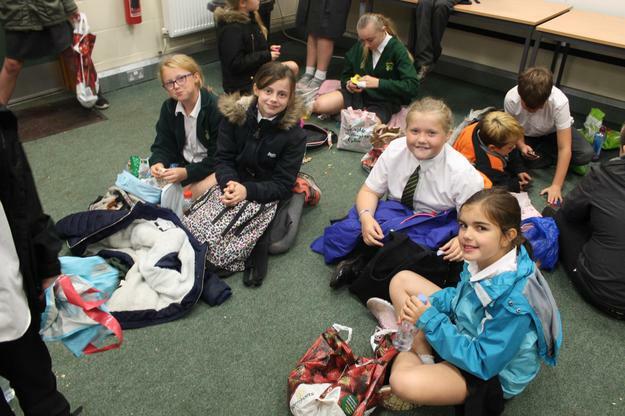 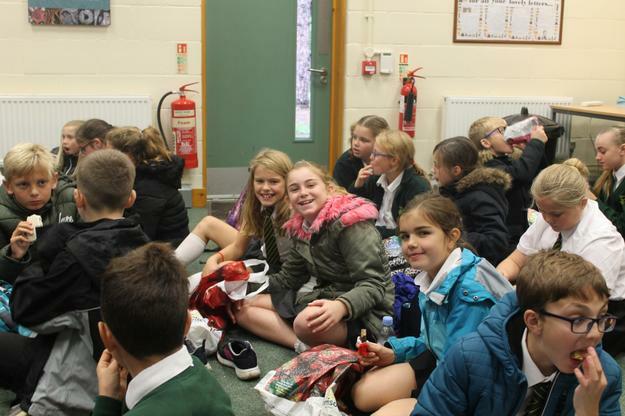 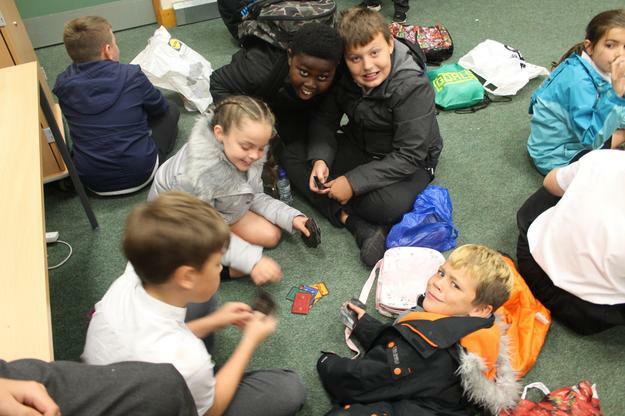 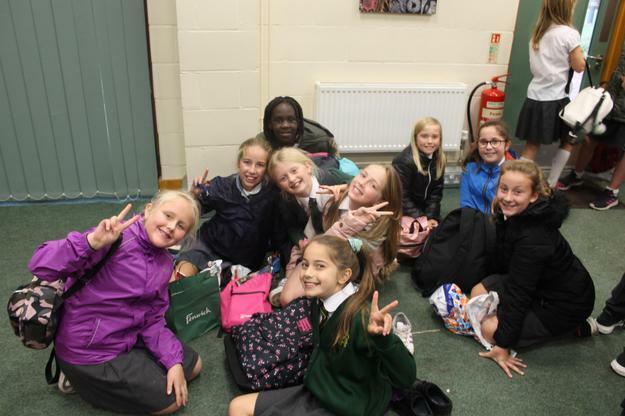 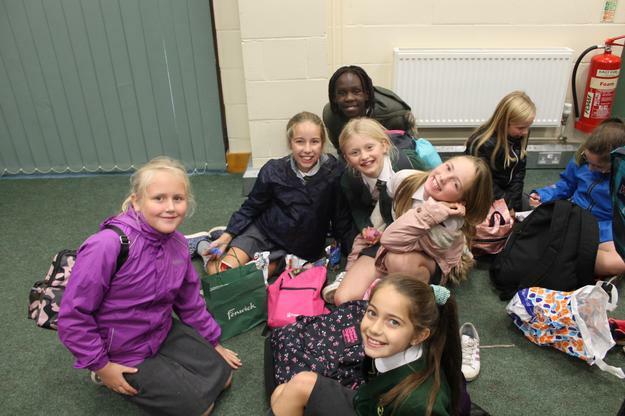 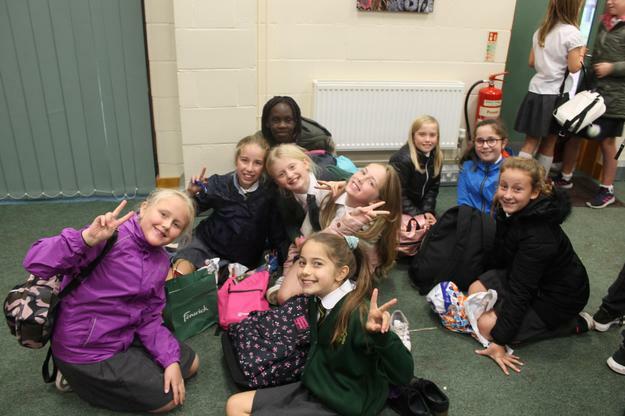 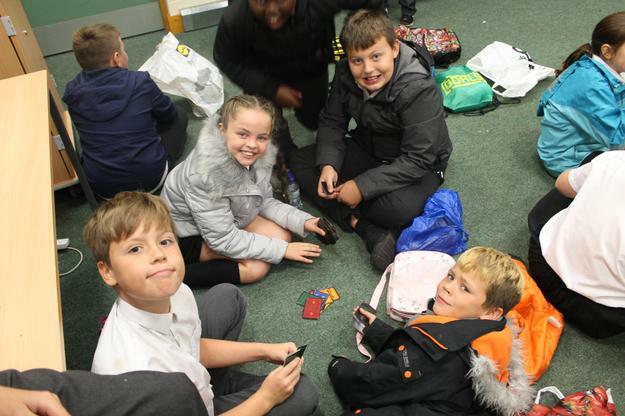 At midday, we ate our lunch in a hall with Year 5 before visiting the park – which was extremely fun! 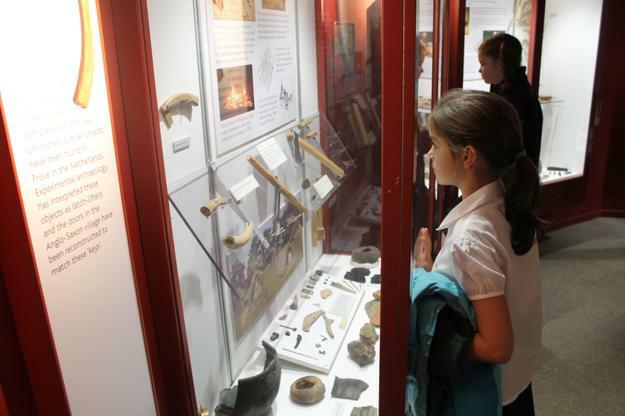 Before long, it was time to visit the museum. 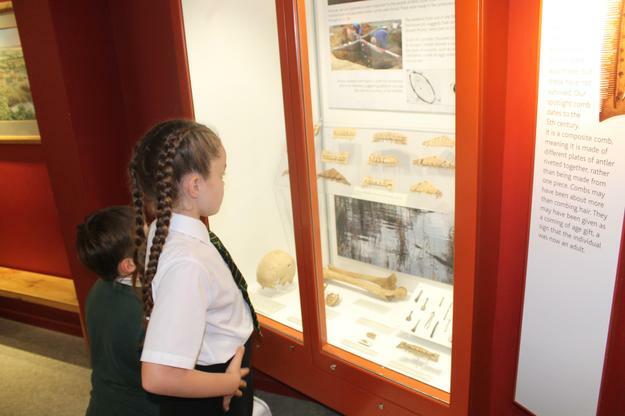 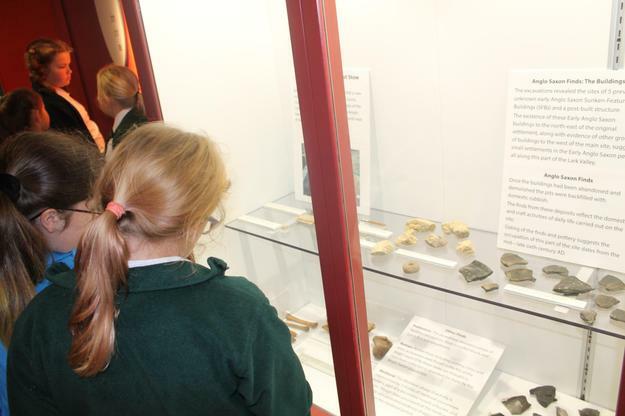 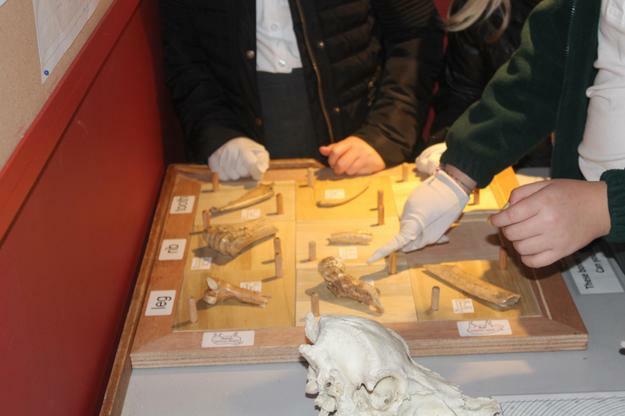 We looked at ancient artefacts which were behind the glass cabinets. 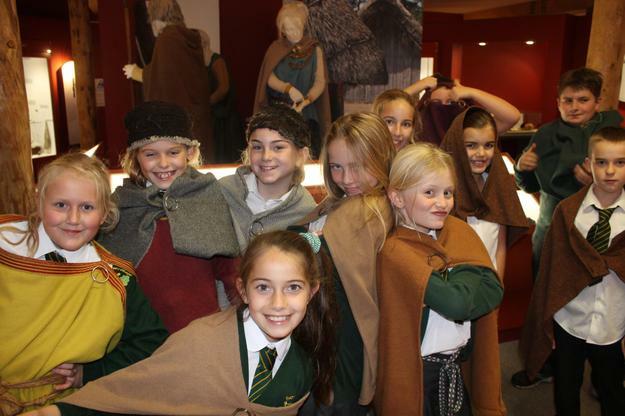 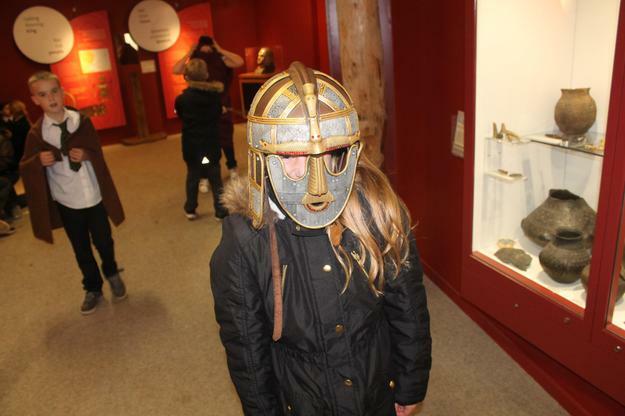 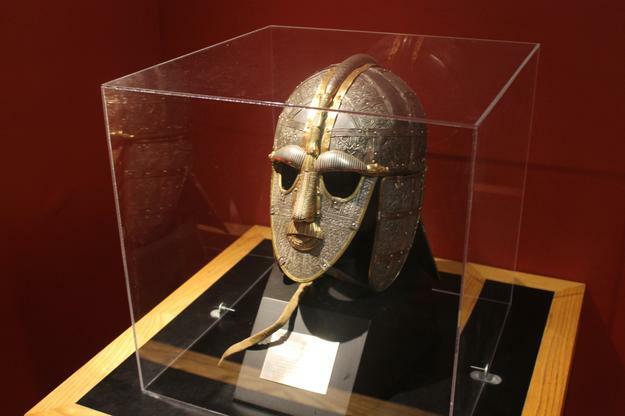 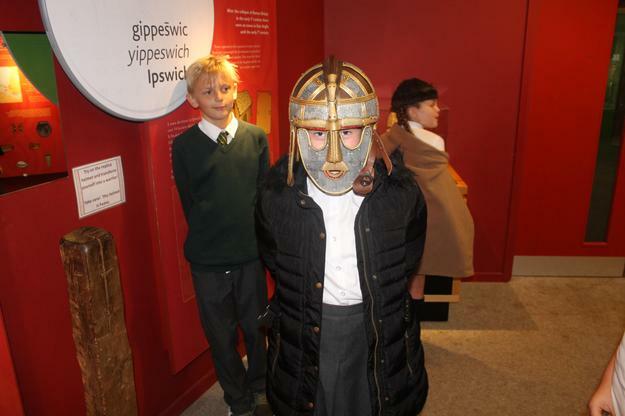 The best bit of the museum was being able to try on Anglo-Saxon clothes and handle real objects from this period of history.